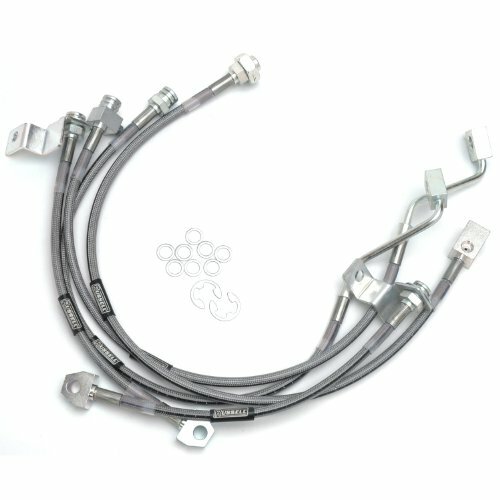 Russell Street Legal Brake Hoses are designed to provide improved braking and excellent pedal feel. These hose’s are made from stainless steel which ensures long lasting durability. They feature a braided design with zinc-plated fittings which provides excellent efficiency. These hoses are corrosion resistant and ensure easy installation.